I am so glad that Choies has given me the wonderful opportunity to experience the quality of products they have. I always love fashion, even though sometimes fashions don’t like me at all. I manage to do my best with a mix and match in order to come up with a perfect outfit and it works just great. I was very happy to see the different styles Choies have online. The easiest way for you to shop at your home’s convenience. I always like to shop online, I am away from stress, I save gasoline, and I can hang out more with my son while shopping for us. The kind of multi-tasking and bonding with the family. The online experience is wonderful. It’s very simple and quick transaction. There are varieties of clothes to choose from the website. Another thing is you can also earn $15.00 or 1500 points during your first registration and completes your profile online. They also offer a WORLDWIDE FREE SHIPPING. Choies has very high quality products and very fashionable style. You name it they have it. I like how you can even mix and match your own style online with them and you can get it inexpensively. If you wish to register, simply visit the website @ http://www.choies.com. I adore my Bohemia Style Beach dress retail prices of $32.99. You may also see them through Facebook, Twitter, and Pinterest to be connected with them. That's a Great dress and looks lovely on you! I love finding great outfits. that dress is really pretty! You look so beautiful. I need all the style help I can get. Thanks for sharing. That is a nice dress. I'll check them out. Beautiful dress! I love to find comfortable dresses that still look nice and are affordable! Wow! You look like a queen mommy :) I love the color & style of your dress! That is a lovely beach dress. Love the print and the color. the dress looks gorgeous on you! you look so tall! maxi dresses is love because they are very comfy to wear! 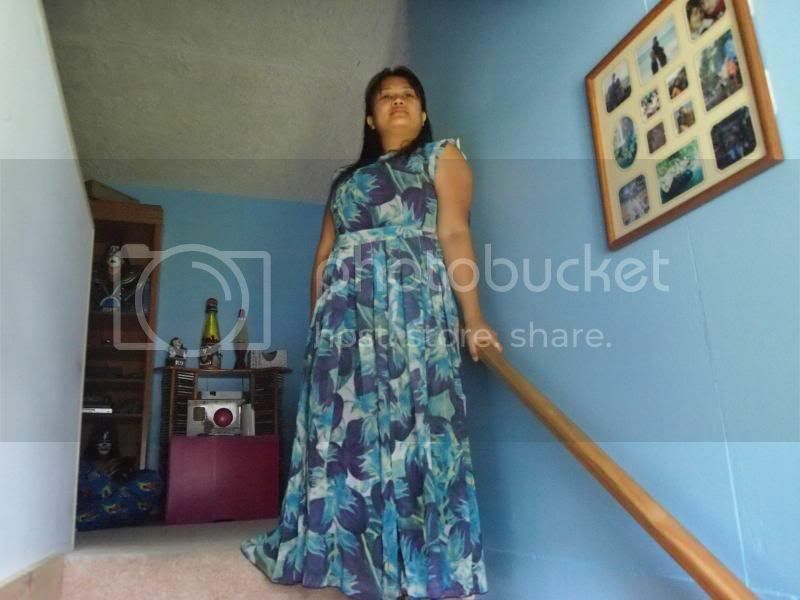 Your dress matches your wall paint, gotta love blue! I also love the convenience of online shopping. The dress is perfect for beach! I love the length, I can already imagine it flowing and being slightly blown by the wind while you stroll at the beach. Hindi ba nainit yan.. You look nice on that one. Siguro pink ang sa misis ko. My type! I feel very comfortable with those type of dress! I like maxi dresses. I just wonder if I will look good in it. You look so good in that dress sis. What important the most is the comfortable feeling you'll have with your outfit sis, right? It's a lovely dress. That's so in for summer .